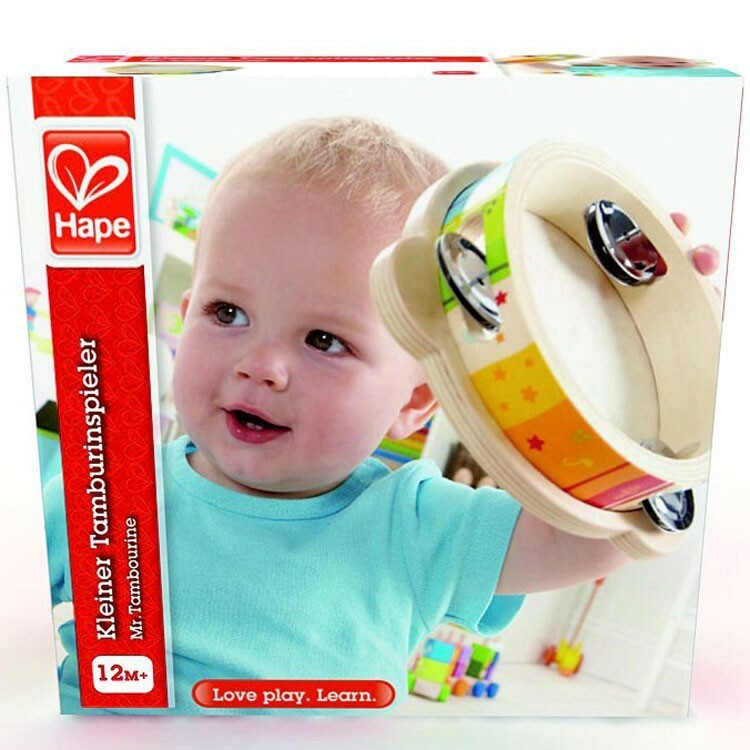 Hape's multi-colored toy tambourine is a perfect first musical instrument for toddlers. 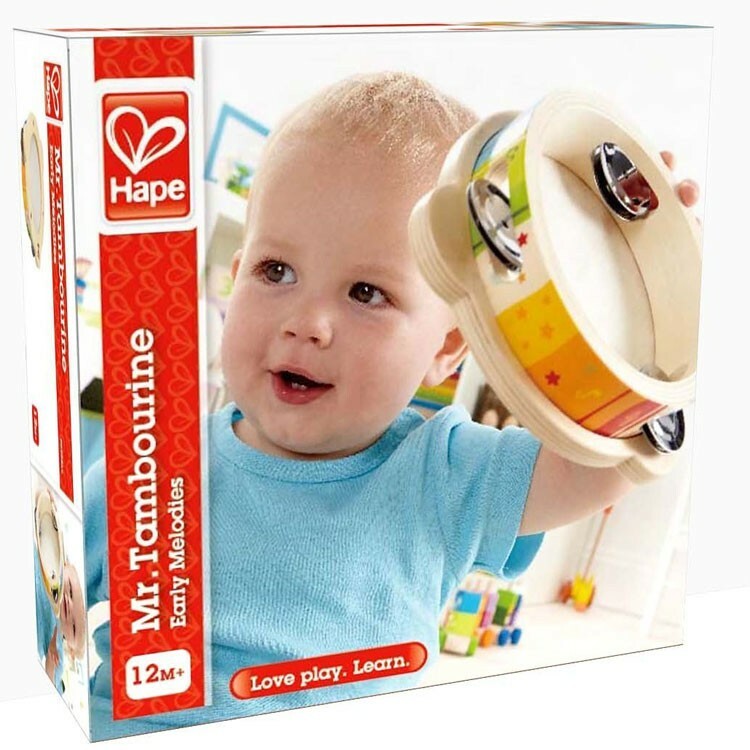 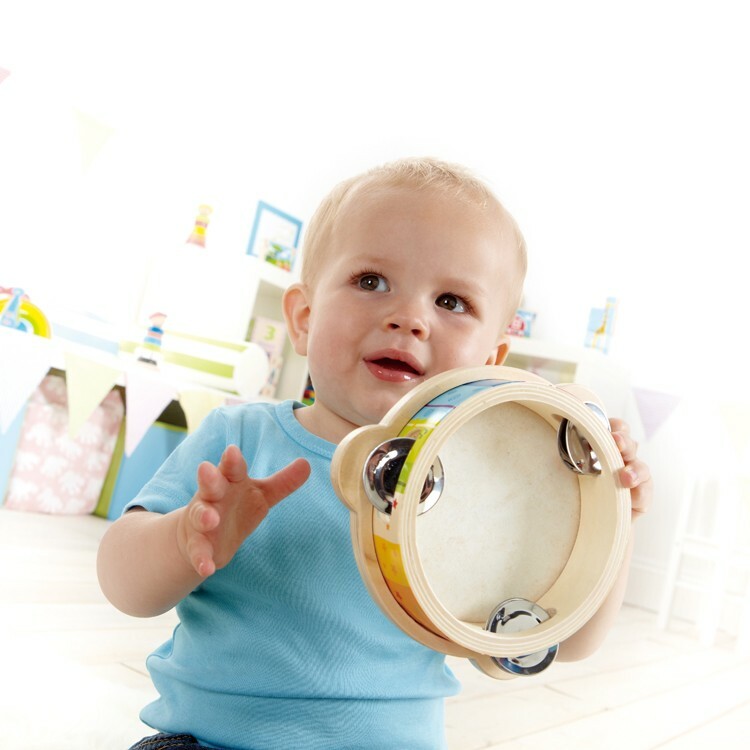 Mr. Tambourine is designed by Hape for the toddler Mr. or Ms. Musician. 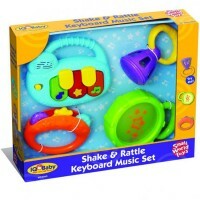 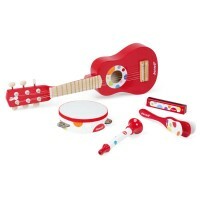 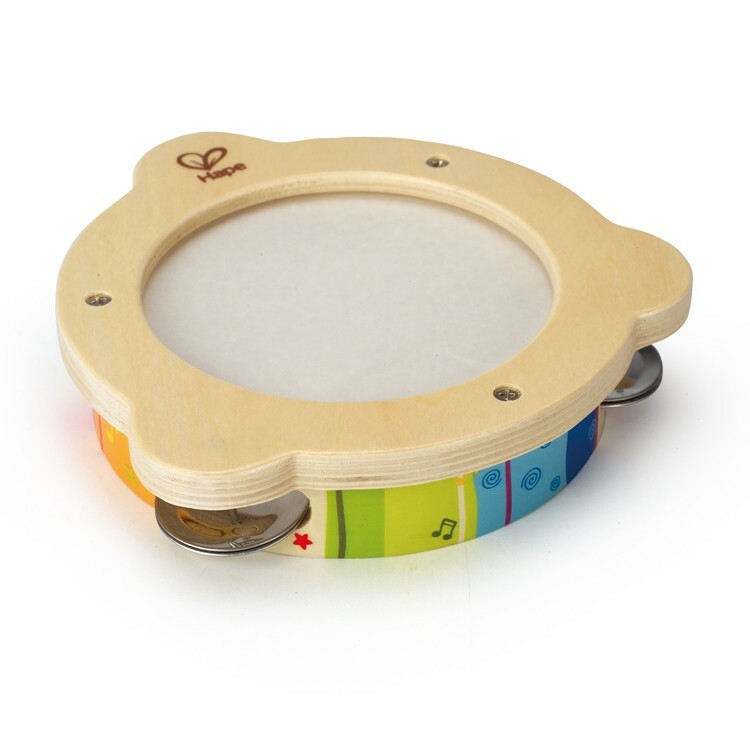 This Toddler Tambourine Musical Toy is a perfect first musical instrument for the youngest kids. 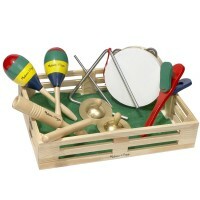 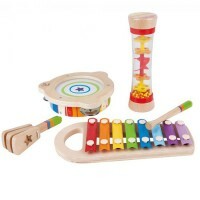 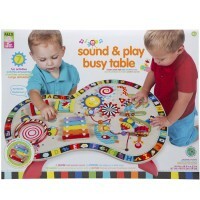 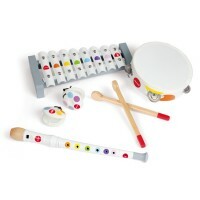 Explore rhythm making, shake up the toy tambourine and experiment with sound creation, or march around the play room as your own marching band - this colorful musical toy will please any little child. 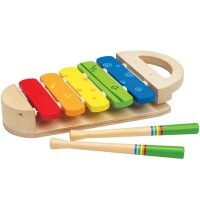 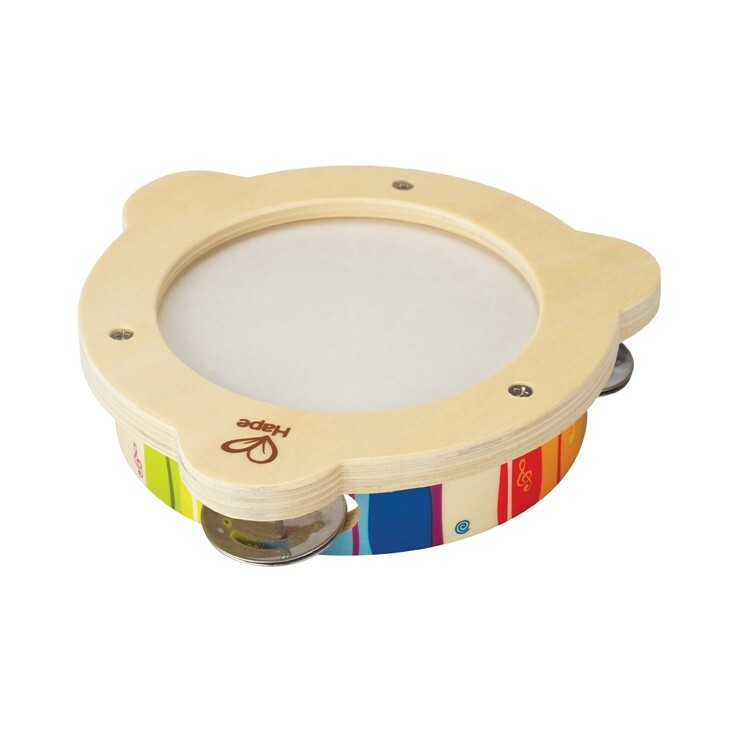 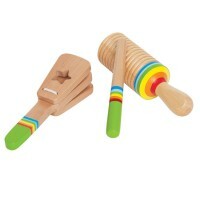 The youngest musicians will love making noise, we meant, music of course, with this colorful wooden toy tambourine. 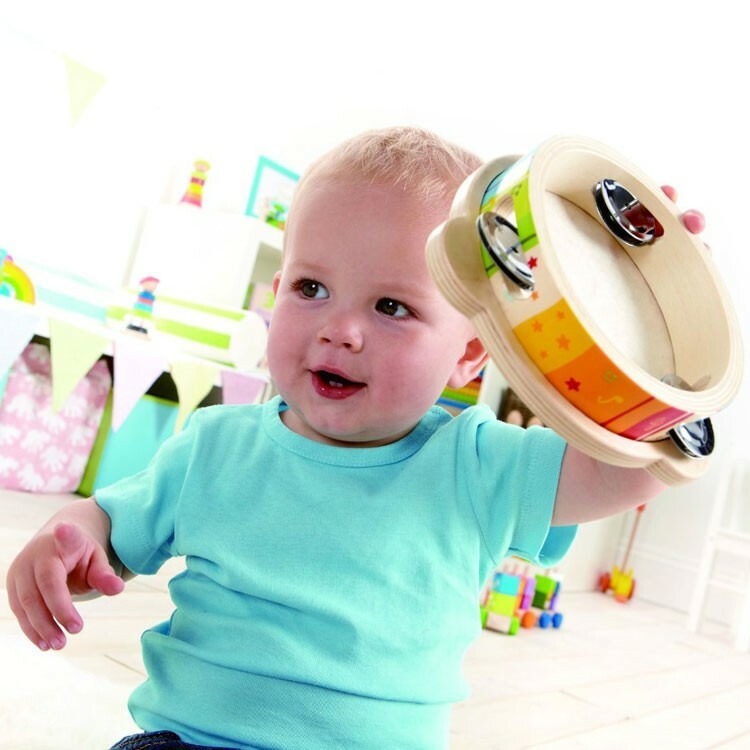 The Toddler Tambourine Musical Toy is sized perfectly for the little hands. 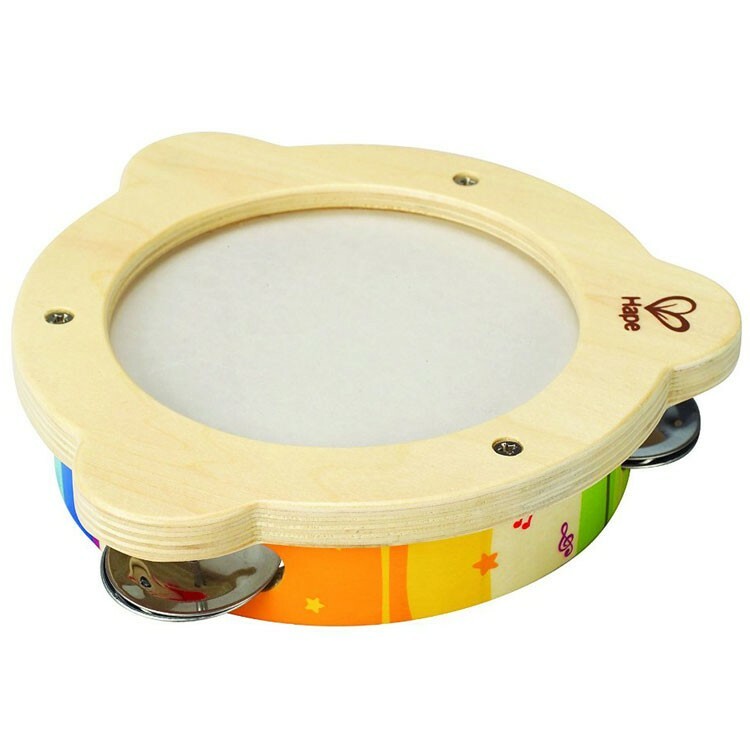 This first toy tambourine from Educational Toys Planet is quality made by Hape and conforms with all US toy industry standards. 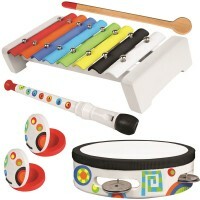 Dimensions of package 6.97" x 6.97" x 1.5"
Write your own review of Toddler Tambourine Musical Toy.